I am trying to use the trial version to see if I like the program. I have viewed the Demo and it seems much easier than what I have experienced. I have a 160 page document that I need to convert. I have scanned 1 page to try. When I followed the demo instructions the spreadsheet came out with unintelligible information. Can you help me. I have Windows 07. 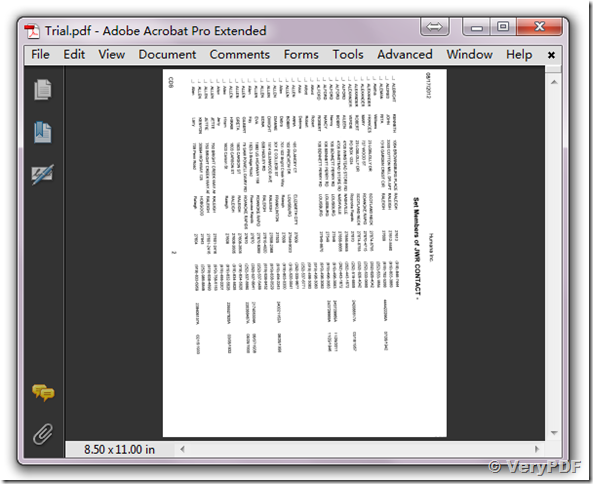 I am trying to take a PDF file and transfer it into an excel spreadsheet. When I attempted the transfer the document came out as an excel document but the information was not there or unintelligible. I am trying to determine what I need to do to make this successful. 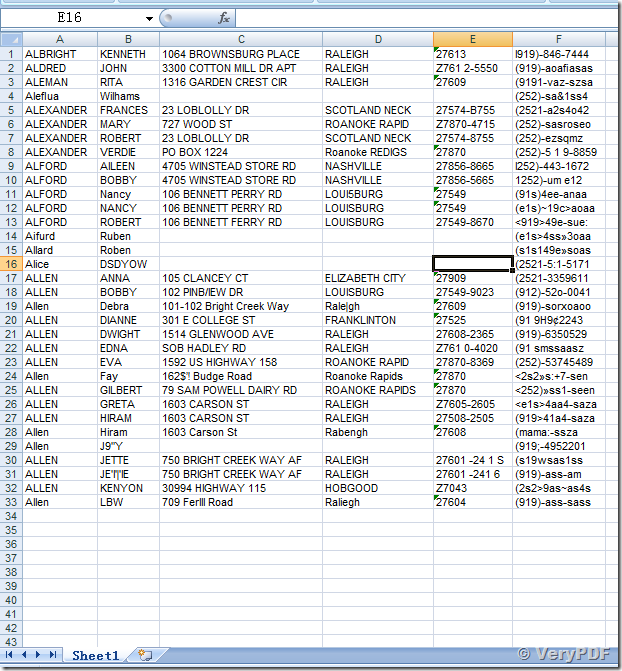 Once I understand how to correctly create the document I will begin doing the same to a 160 page list of names and addresses. Thank you for your help. 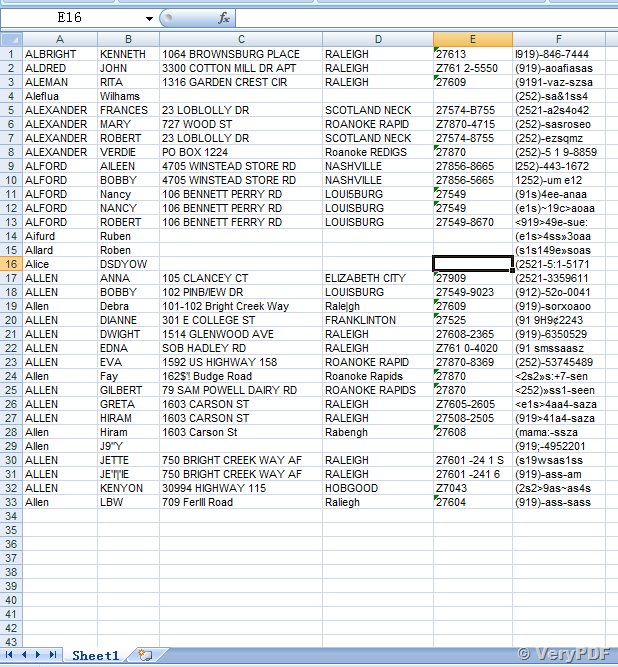 Attached is the file I am trying to convert. Also I am running Excel 2010. Thank you for your help. Actually this is the first page of 160 that I need to convert. Thanks. How to choose PDF to Excel converter products? I’m looking to convert printer spool files to excel format. 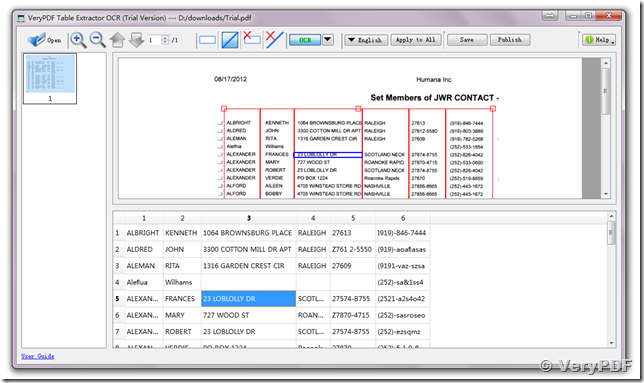 Convert Spool File Reports to Excel Spreadsheets. 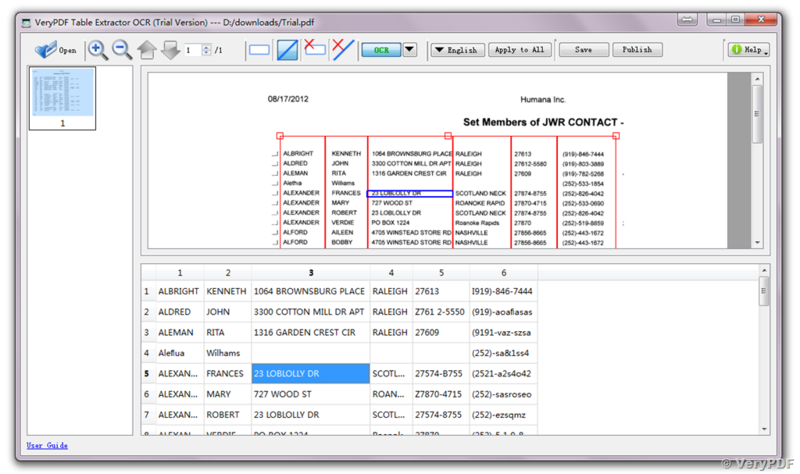 This entry was posted in PDF to Excel OCR Converter and tagged OCR, ocr to excel, PDF to Excel. Bookmark the permalink.